Shelia Riley has 26 years experience in the DeSoto County School District. She served at Hernando Middle School as a Title 1 Instructional Assistant in reading and math for 7th/8th grades. Mrs. Riley continued her employment with DeSoto County Schools at the Board of Education. She worked in Personnel and Professional Development. Mrs. Riley assisted in the development of the Continuing Educational Program for DCS teachers. 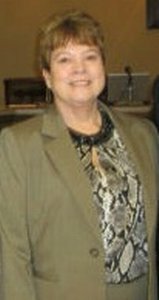 She is a retired member of the Mississippi Association of Educational Office Professionals and a "Who's Who Historical Society Inductee for Achievements in Professional Management." Mrs. Riley graduated from Hernando High School, attended Northwest Mississippi Community College and holds a Bachelor of Science degree in Business Management. Mrs. Riley has been married to Marvin for 48 years. She and Marvin have two sons, 6 grandchildren and 2 great-grandchildren. Shelia and Marvin attend Trinity Baptist Church in Eudora, where Mrs. Riley is the Sunday School Secretary.